Think the 2008 Mercedes-Benz SL-Class is looking a little dated? Hold on, because a new 2009 SL is on the way. Think of the 2008 Mercedes-Benz SL-Class as a big, luxurious grand tourer with a little bit of sportscar soul, and you're on the right track. To bring you this assessment of the 2008 Mercedes-Benz SL-Class roadster, TheCarConnection.com's experts have handpicked some of the most useful information from reputable reviews. Then to make this especially useful to shoppers who might be comparing the SL to another roadster model, the editors at TheCarConnection.com have included their own driving observations. Mercedes's upmarket roadster model returns for 2008 with four models: There's the 382-horsepower SL550, the 510-horse SL55 AMG, the V-12-powered 510-horsepower SL600, and the AMG-tuned V-12 SL65, with 604 horsepower. The 2008 Mercedes-Benz SL550 comes with a seven-speed automatic while all the other models make do with a five-speed automatic. All 2008 Mercedes-Benz SL-Class models come with a clever retractable hardtop system that actually aids body stiffness. 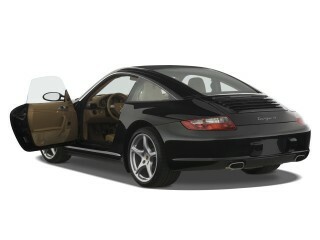 With the top down, it stows itself away in a section of the already spacious trunk, leaving enough room for weekend bags. With the top up, the SL is remarkably refined and quiet inside, with very little road or wind noise; with the top down, the SL is very well designed with little wind turbulence. The 2008 Mercedes-Benz SL rides like the big, comfortable grand-touring car that it is, at least in part. The ride is rather firm, yet the suspension soaks up even the larger bumps, and the body stays relatively flat in cornering. Thank the standard Active Body Control (ABC) system, which uses hydraulics to eliminate excess body motion and enhance the SL's cornering performance while maintaining ride comfort. Although the SL accelerates and brakes very quickly and handles capably, it lacks the fast steering response and agility of other smaller, lighter roadsters. Fuel economy in the 2008 Mercedes-Benz SL-Class also is among the lowest of any roadster model, at 11 mpg city for the SL600. The 2008 Mercedes-Benz SL doesn't disappoint inside, with rich leather upholstery and distinctive wood trims. 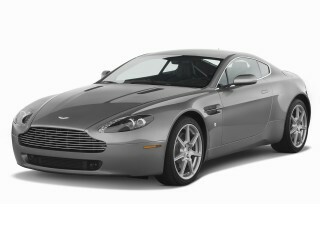 Seats are very generously proportioned, yet firm and supportive for longer trips or enthusiastic driving. Even better are the available active ventilated seats with the multi-contour function. The screen-driven COMAND interface is unnecessarily complex, though, and out of place in a sporty car. The AMG models add a special SpeedShift five-speed automatic transmission, larger wheels and tires, upgraded brakes, a modified suspension, sport seats, and a host of other upgrades. An AMG Sport Package brings the appearance of the AMG models to the 2008 Mercedes-Benz SL550 or SL600; it includes larger wheels and high-performance tires, the AMG front air dam and rear apron, and other extras. Standard equipment on the 2008 Mercedes-Benz SL is, of course, very generous, including a Smart Key system, DVD navigation, Bose Cabin Surround system, and leather heated seats even on the base SL550. Top options on the SL line include Distronic adaptive cruise control, the Parktronic parking assistant, and a panorama roof. None of the 2008 Mercedes-Benz SL-Class models skimp on safety; it's perhaps the safest roadster, considering its good handling, heft, and long list of safety features, including side airbags, anti-lock brakes, electronic stability control, and a rollover hoop that automatically deploys if needed. Distinctive exterior styling combines with a welcoming interior to make the 2008 Mercedes-Benz SL-Class a joy to behold both inside and out. Mercedes-Benz introduced the general styling of the current-generation SL-Class in the 2003 model year, and for 2008, Mercedes-Benz has made no external styling changes. The top-of-the-line 2008 Mercedes-Benz convertible is aging very well, and it still turns heads despite the six-year run of its appearance. Exterior styling of the 2008 Mercedes-Benz SL-Class receives rave reviews from the automotive press. Edmunds notes, "The 2008 Mercedes-Benz SL-Class comes in four variants," and "in ascending order of price, they are the SL550, SL55 AMG, SL600 and SL65 AMG." Cars.com calls it "one of Mercedes-Benz's most stunning designs," and with its "low and wide" stance, they write that it "doesn't follow other cars on the road, it stalks them." Kelley Blue Book reviewers describe Mercedes-Benz's 2008 SL as having a "long hood, short deck, massive wheels and a barely detectable retractable hardtop" that give the SL-Class a "seductive skin" that "words alone cannot adequately describe." That doesn't stop others from trying though, as ForbesAutos writes, the "slickly operating, power-retractable hardtop is a show in itself." Other reviews read by TheCarConnection.com heap similar praise on the exterior of Mercedes-Benz's 2008 SL-Class, with Edmunds adding "gorgeous" to the list of compliments bestowed upon this 2008 Mercedes-Benz. There are no noticeable exterior differences between the SL550 and SL600, but Edmunds says that either of the AMG trims brings "19-inch wheels" and "exterior styling tweaks" that consist mostly of "lower body sculpting." For those who want to do without the AMG engines but still prefer the appearance, Mercedes-Benz offers the AMG Sport Package on the SL550 and SL600, which Kelley Blue Book says "adds an AMG-inspired body kit." The interior of the Mercedes-Benz 2008 SL-Class draws praise for its layout, but a few drawbacks also appear. ConsumerGuide opens with the positives, writing about the "sporty, sophisticated dashboard" and "easy to reach" buttons and switches, but they also find fault with the "pop-out cupholders [that] obscure the navigation screen and nearby climate controls." Speaking of the navigation screen, it is the interface for one of the most complained-about features of the interior: the COMAND system, which Kelley Blue Book says is "complicated" and takes "some effort to master." Edmunds reviewers agree, finding that the integrated "audio and navigation systems" feature "fussy, overly complicated controls." 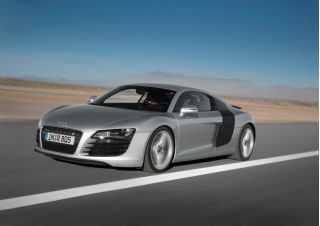 Other than the navigation system, the overall appearance is exceptional, with Cars.com calling it "beautifully crafted." Fine engine performance and a serene ride are slightly marred by the inconsistent brake feel and poor fuel economy on the 2008 Mercedes-Benz SL-Class. The various engines on the different trim levels of the 2008 Mercedes-Benz SL-Class offer great acceleration, but fuel economy and some handling issues blemish the performance record of this 2008 Mercedes-Benz. Each of the four models in the 2008 Mercedes-Benz SL-Class offers a different engine under the hood, but all are incredibly capable. Edmunds writes that "the base SL550 has a 5.5-liter V8 with 382 hp and 391 lb-ft of torque," while the "SL55 AMG has a supercharged 5.4-liter V8 with 510 hp and 531 lb-ft." For the two top trim levels, Edmunds adds that "the SL600 sports a twin-turbocharged 5.5-liter V12 with the same 510 hp, but its 612 lb-ft make acceleration feel even more forceful" than in the SL55 AMG, while the ultra-exclusive "SL65 AMG has a twin-turbocharged 6.0-liter V12 that makes an astounding 604 hp and 738 lb-ft and is good for blasting the car from zero to 60 mph in 3.9 seconds." Other reviews read by TheCarConnection.com show that reviewers love all of this Mercedes-Benz's 2008 engine choices, with Kelley Blue Book saying that the base "SL550's 5.5-liter V8 is the best choice for mere mortals, offering acceptable power at a good price." ConsumerGuide testers find that the "SL550 gathers speed rapidly" and "shows true authority above 40 mph," while the "SL600 is stronger still." For 2008, Mercedes-Benz offers only one transmission option per model of the SL-Class, but that option varies depending on the type of SL-Class. Car and Driver writes that the Mercedes-Benz 2008 SL550 features a "seven-speed automatic transmission with manumatic override that is capable of gearshifts 30 percent quicker than before," while ForbesAutos reviewers note that "both AMGs and the SL600 come with a five-speed automatic transmission (also driver-adaptive and with a manual mode)." Reviews are mixed when it comes to the seven-speed automatic on Mercedes-Benz's 2008 SL550. 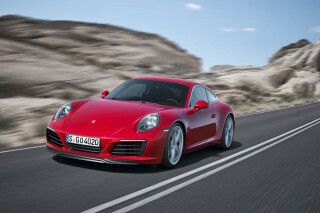 While Cars.com appreciates that the transmission's "quick upshifts can save fuel and make for quieter operation, they sometimes leave the engine bogged down in too high of a gear," which led to occasions when the reviewer "pressed the pedal and nothing happened until [he] pushed it farther down." 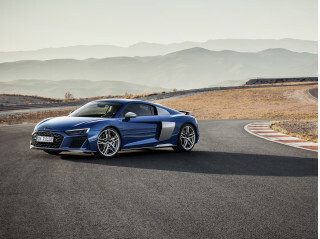 Other than that criticism, most reviews were positive, with Road & Track claiming that the shifts are "so smooth that they're almost easier heard (via the car's slightly rumblier exhaust) than felt." With the standard seven-speed automatic that Cars.com says should help "save fuel," the 2008 Mercedes-Benz SL-Class is anything but thrifty. While shelling out almost $100,000 for even the cheapest Mercedes-Benz 2008 SL-Class probably indicates that gas bills aren't a concern, EPA estimates that remain almost completely under 20 mpg across the lineup mean the 2008 Mercedes-Benz SL-Class will dent the wallet long after being driven off the lot. The EPA fuel economy estimates for the Mercedes-Benz's 2008 SL-Class lineup are 14/21 mpg for the base SL550, 12/17 mpg for the SL55 AMG, and 11/18 mpg for both of the V-12s in the SL600 and SL65 AMG. While the 2008 Mercedes-Benz SL-Class has the power and looks to make it a top-notch sportscar, driving this 2008 Mercedes-Benz lineup exposes a few weaknesses. Many reviewers, such as those at Edmunds, rave about the "excellent grip and the Active Body Control that almost eliminates body roll," but then counter that enthusiasm by noting "a curb weight of more than 4,200 pounds keeps any of the SL roadsters from feeling truly agile." Car and Driver agrees, marking the SL-Class down for "numb steering, hard-to-read brake-pedal feel, and a general sense of weightiness." 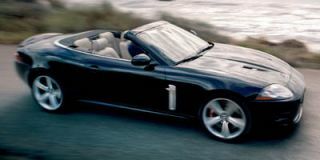 However, despite a few complaints about the steering and brakes, the overall impression of the SL-Class was positive. 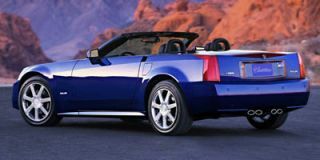 Cars.com reviewers find "much to like about the roadster's ride quality" and praise the suspension, which "never lets the ride become harsh." This opinion is affirmed by ConsumerGuide, which writes "any SL displays a fine blend of firm control and astute bump absorption." Extraordinarily comfortable and quiet, the only real flaw (minimal as it is) on the 2008 Mercedes-Benz SL-Class is the lack of interior storage. As it is a Mercedes-Benz, the SL-Class, as you would expect, sports a superlative degree of refinement, comfort, and build quality. For 2008, Mercedes-Benz doesn't disappoint, offering one of the finest, most comfortable interiors on the road today. Cars.com writes that all 2008 Mercedes-Benz SL-Class vehicles feature a "two-person cockpit" that they describe as "intimate." However, they are able to "get comfortable in the car," thanks in large part to the "firm cushioning" found on the "highly supportive" seats. ConsumerGuide agrees, finding that occupant seating is "hard to fault, with stretch-out space and supportive, comfortable seats." One thing they do point out, though, as did many reviews read by TheCarConnection.com, is that the Mercedes-Benz 2008 "SL's low-slung body and long doors complicate entry and exit." Kelley Blue Book offers the highest praise, saying, "you'll be hard pressed to find a more comfortable set of seats." Like most convertibles, the 2008 Mercedes-Benz SL-Class has reduced storage space when the top is down. Unlike most convertibles, this 2008 Mercedes-Benz still boasts a decent amount of trunk room. Kelley Blue Book is impressed that the "ingenious folding top design doesn't take up the entire trunk when retracted," while ConsumerGuide provides some hard numbers, saying that the "trunk has 10.2 cu ft with the roof raised and 7.3 with it lowered, enough for two small golf bags." Inside the cabin, testers at ConsumerGuide note "storage is pretty meager overall, but it does include covered bins behind the seats." In a nod toward practicality, for 2008 Mercedes-Benz has upped cargo space in the trunk by making "the luggage cover in the SL's trunk...removable, significantly improving the amount of usable cargo space," according to Road & Track. Materials quality and assembly on Mercedes-Benz's 2008 SL-Class is top-notch, which is befitting for a car with the SL's sticker price. Edmunds reviewers find that "a choice of three wood trims (Walnut, Chestnut, Black Ash) are available in the SL550 and SL600, while AMG versions feature carbon-fiber accents instead." ConsumerGuide also adds "the cabin's high-grade materials are mostly appropriate for the lofty prices," with the exception of the "flimsy sun visors and a few bits of hard plastic cabin trim." Other than that, Cars.com notes that for Mercedes-Benz, 2008 brings an interior that is bathed in "soft leather," which makes its way into the seats, "steering wheel, dashboard, center console and doors." Differences between the trims are minimal, though Edmunds says that the "SL600 upgrades with napa leather." One of the benefits of high-quality construction is that road noise is generally well contained. This is especially true on the 2008 Mercedes-Benz SL-Class, which ConsumerGuide says is "as quiet as most any luxury coupe, with little wind noise and almost no tire roar" with the top up. Motor Trend adds "a new exhaust system eliminates an unpleasant drone" and describes the 2008 Mercedes-Benz SL-Class as "a sublime cruiser, top up or down." The 2008 Mercedes-Benz SL-Class roadster is big and stable, and it offers a wealth of safety features. Although the 2008 Mercedes-Benz SL-Class hasn't been subjected to either National Highway Traffic Safety Administration (NHTSA) or Insurance Institute for Highway Safety (IIHS) crash tests, there are numerous safety features that provide ample reason for occupants to feel well protected in Mercedes-Benz's 2008 edition of the SL. For the safety-conscious who might be waiting for crash-test results before purchasing their 2008 Mercedes-Benz SL-class, reviewers at Cars.com write that "it's unlikely" those results will be coming "in the near future, given that it is a low-volume model." However, for 2008, Mercedes-Benz engineers have taken care to provide "every modern safety feature" as "standard on the 2008 Mercedes-Benz SL roadster line, including stability control, side airbags (with both head and torso protection), a driver's knee airbag and pop-up roll bars," according to Edmunds. The pop-up roll bar on this 2008 Mercedes-Benz lineup is a nifty feature that ConsumerGuide says is "designed to deploy in an impending tip" but remains out of sight during normal driving. ConsumerGuide adds that "adaptive cruise control is optional," a feature that automatically maintains a safe distance from vehicles in front of Mercedes-Benz's 2008 SL-Class. Sight lines from within the 2008 Mercedes-Benz SL-Class series of roadsters are acceptable, and with the top down, the view to the back is unimpeded. Despite the generous visibility, for Mercedes-Benz 2008 brings "front and rear parking sensors" as optional equipment, according to Cars.com. The 2008 Mercedes-Benz SL-Class comes preloaded with a nice array of features, but the COMAND system may drive you to distraction. 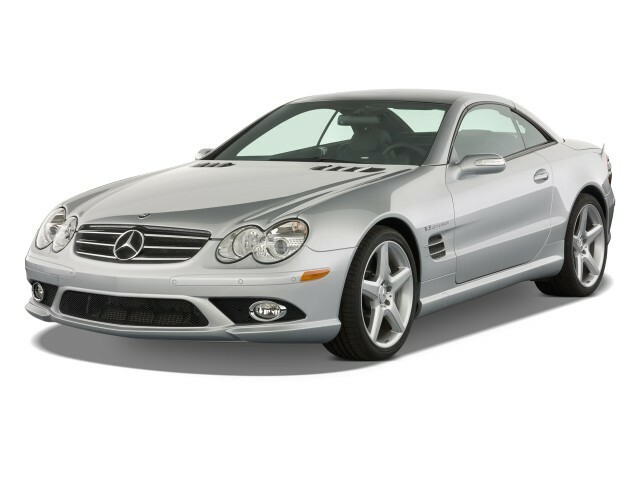 The 2008 Mercedes-Benz SL-Class offers a tempting variety of standard and optional features, but the COMAND system is one that this 2008 Mercedes-Benz could do without. When it comes to standard features, the various models of Mercedes-Benz's 2008 SL-Class offer generally the same loadout. Kelley Blue Book says that the base "SL550 has dual-zone automatic air conditioning, the COMAND system," as well as "navigation, Bose audio," and "power tilt/telescopic steering wheel." Moving up trim levels, Edmunds writes that the extra standard features on the Mercedes-Benz 2008 SL600 include "a power trunk closer and the Keyless Go start system," while the AMG versions add "an AMG-exclusive steering wheel with shift paddles." The one gripe that reviews read by TheCarConnection.com raised with the standard features on this 2008 Mercedes-Benz was that the COMAND controller “complicates some audio and climate settings, and most adjustments require multiple inputs," according to ConsumerGuide; such a design is both annoying and potentially a safety hazard. Optional features on the 2008 Mercedes-Benz SL-Class don't disappoint. Cars.com loves the "optional dynamic multicontour seats, which include all sorts of fancy adjustments," including "a power-extendable seat cushion and a massage setting." One of the more outlandish options available on Mercedes-Benz's 2008 SL-Class is mentioned by Road & Track, which writes that the SL-Class can be outfitted with "granite trim, cut .6mm thin and using a proprietary but expensive laminate process." Kelley Blue Book rounds out the options list on the 2008 Mercedes-Benz SL-Class by mentioning "stand-alone options include Parktronic, Distronic automatic cruise control, panorama glass panel roof with a power sunshade and a power trunk closer."